If your week has been anything like mine, you may need to take a minute to stop, breathe, and sniff the roses tannins. When life gets hectic, that is the best time to go out of your way to find make a spare hour to celebrate happy hour with a few friends over some midweek libations. 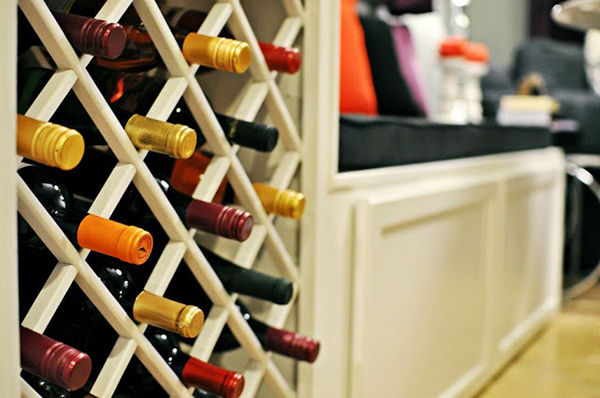 Since it is no secret that wine is my beverage of choice, I will be sharing 13 amazing ideas for storing wine at home so that you are always ready for hosting that impromptu weekday happy hour! 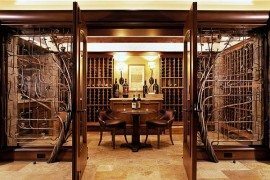 Obviously, one of the most convenient and attractive ways to store your vino collection is to integrate the storage into your existing space by building it in. 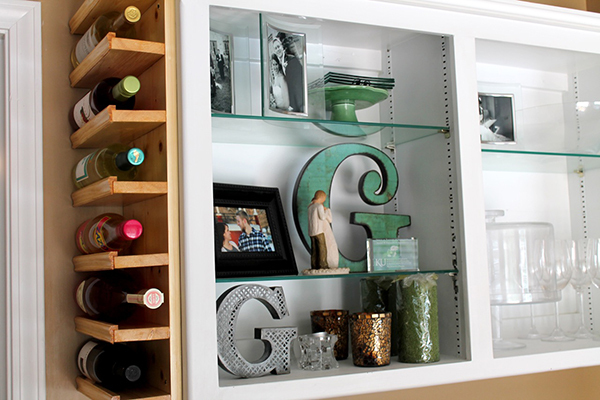 DIY Network shares these beautiful X shelf inserts (that you can buy or make at home based on the size of your shelves) that create a beautiful way to store and display your wine. 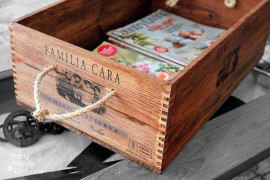 Live Laugh Decorate used piece of wine lattice (but you could certainly use a few pieces of the everyday lattice from the hardware store) and built it into an empty cabinet as a part of her creative and lovely DIY kitchen banquette. 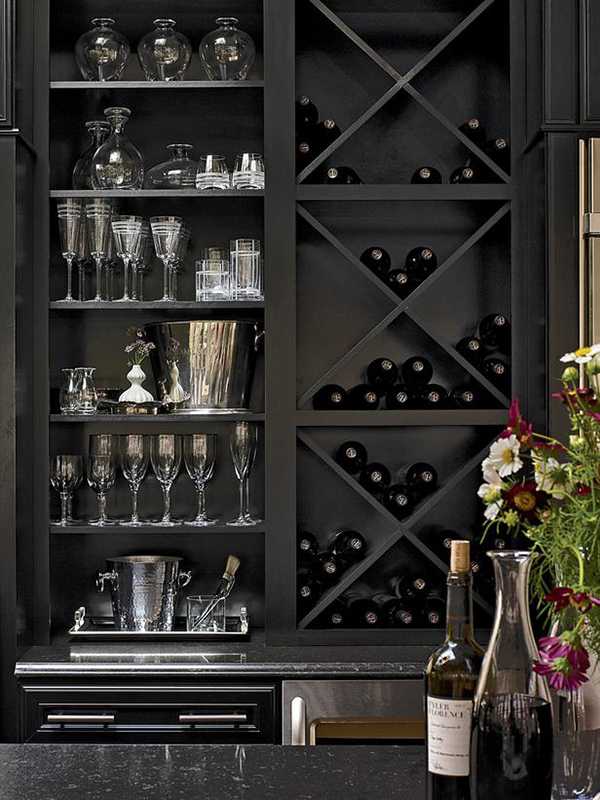 Our next built-in DIY wine storage idea, by Pursuit of Healthfulness, uses a bit of lumber and trim to create an awesome built-in wine rack in the narrow space on the side of a cabinet. 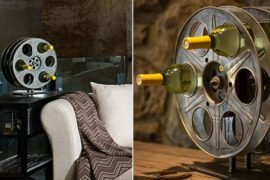 Not only does this wine rack take advantage of some small, previously unused space in their home, but it also is the perfect way to bring the Pinot supply into their living room bar area. 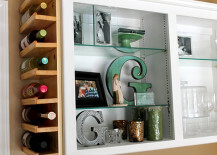 HGTV‘s built-in custom DIY wine rack is made with plywood and a 4-inch hole-saw attachment. Not only can this wine rack function as a visual room divider for an open space, but by painting the inside a fun color, it also adds a fun, bold statement piece to the room. 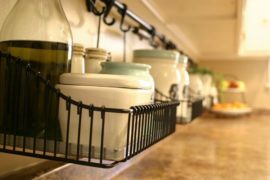 Not all of us are lucky enough to have extra space for built in wine storage, so our next few DIY wine racks are all easily wall-mounted for those small-space areas! 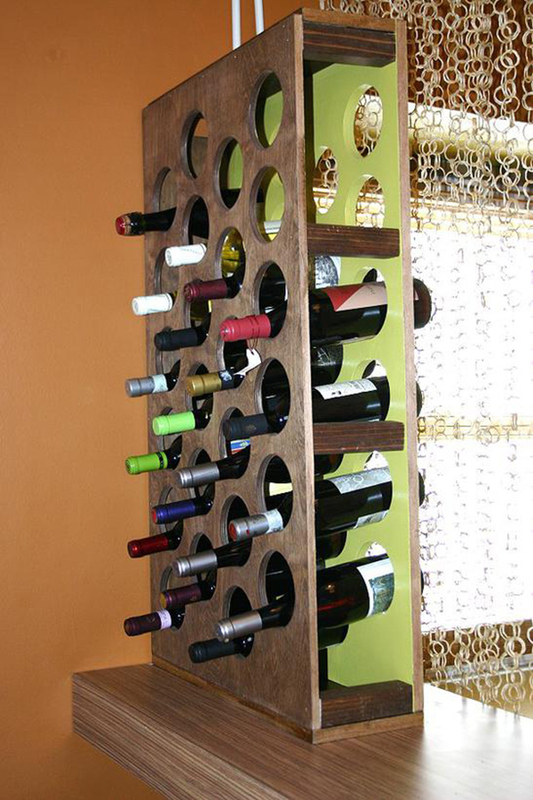 This fist DIY wine rack by Shanty 2 Chic simply uses a bit of wood and some large hex screws to create the structure of the wine rack. 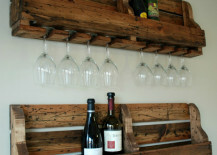 add on some stain and chalkboard paint and you have a gorgeous, rustic wine rack that is organized and labeled! 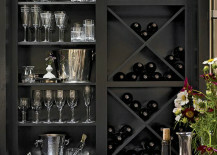 If you are a connoisseur of sparkling wines (or just like the look of this storage method! 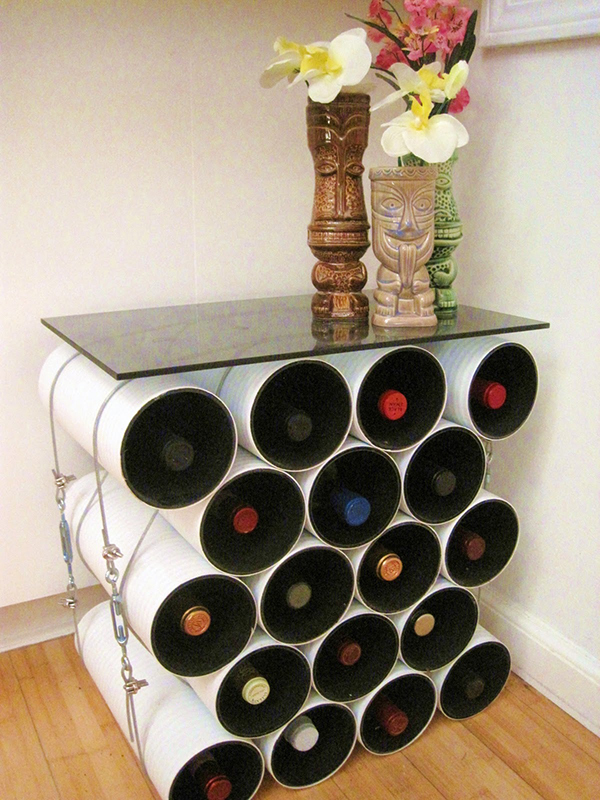 ), then this next DIY wine rack is for you! This magnificent riddling rack by Hart’s Desire Photography was handcrafted with some leftover fencing and a bit of scrap wood to create the desired 45 degree storage angle. As if there weren’t already enough projects to do using wood shipping pallets, I am going to add another one into the mix for you! 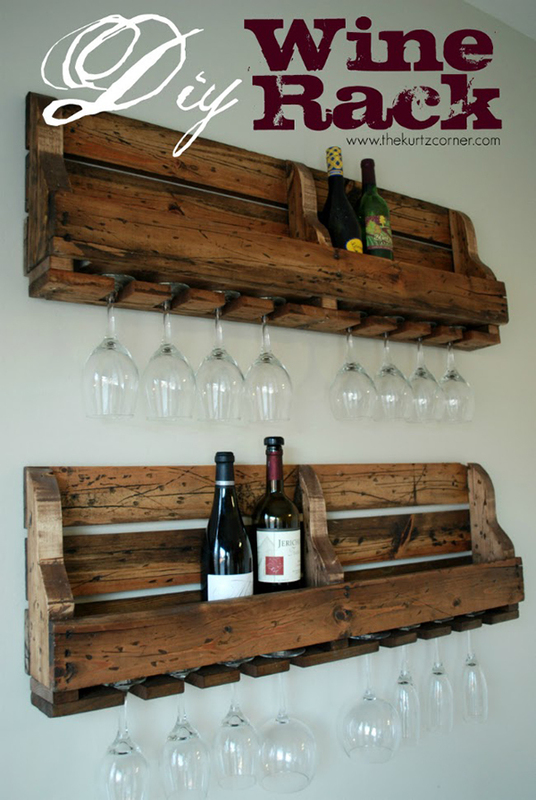 This incredible re-purposed DIY wine rack by The Kurtz Corner takes into account not only the bottles, but the glasses too in their all-inclusive, rustic wine storage rack. 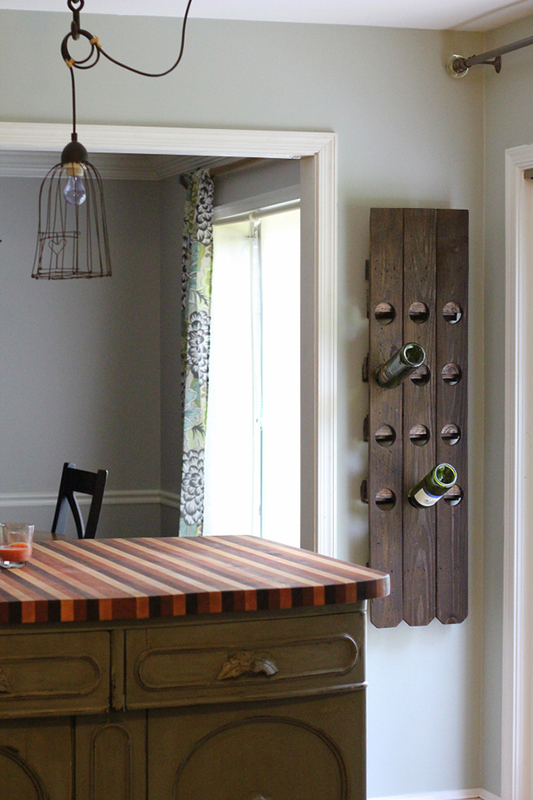 Our next DIY wine rack was created and sold by Erin’s Lane on Etsy. 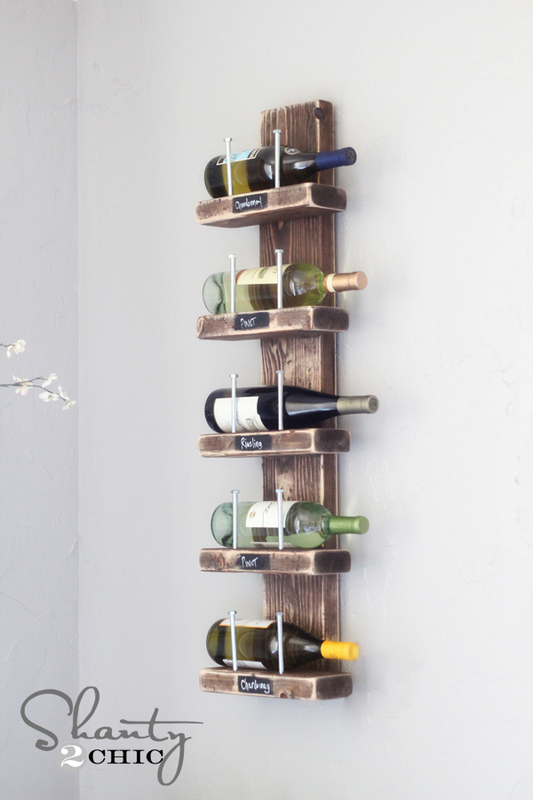 However, the DIY idea is simple and the result is stunning, so as long as you can get your hands on some barn wood and a few railroad spikes, you will have an eye-catching wine rack in no time! 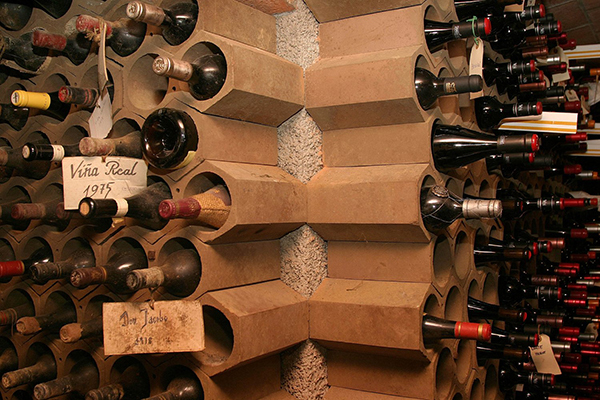 It may seem odd to have an entire category of pipe and tube wine racks, but the shape and availability of these items makes them the perfect building blocks for vino storage! Our next DIY wine rack (sold on Amazon but you can get some of these from your local hardware store) is a breathtaking wall display made of terracotta clay tubes. 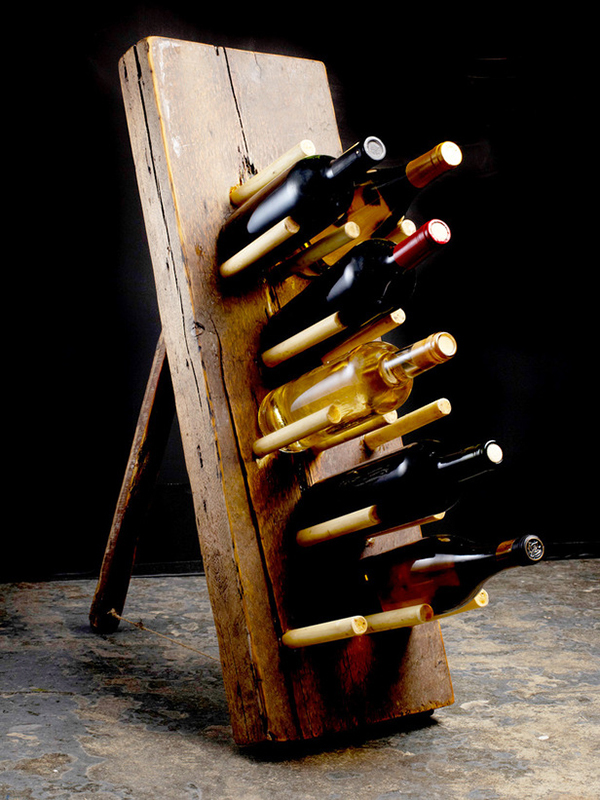 Buy a few or buy a bunch… either way you can create a perfect vintage wine display wall. Looking for something a little smaller and with a bit more funk? 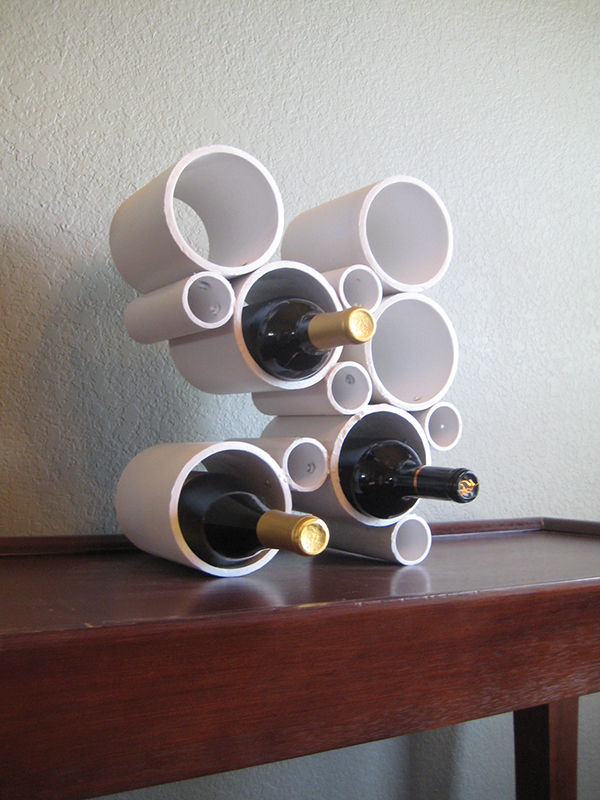 Our next DIY wine rack, by Adventures in Creating, was made with various sizes of PVC pipe. 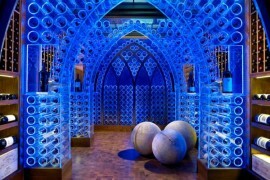 Arranged in a fun, sculptural way, this wine rack is really a work of art! 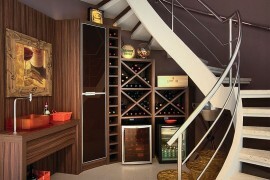 Need some wine storage and a side table? Why not make two-in-one? This mod, industrial side table, by Adventures of an Almost 40 Year Old Intern, uses drainage pipes held together with turnbuckles to store your beloved wine collection. 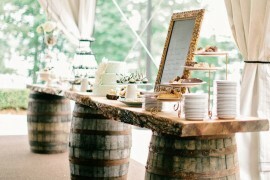 Add a glass table top and you can even have a little bar area on top! 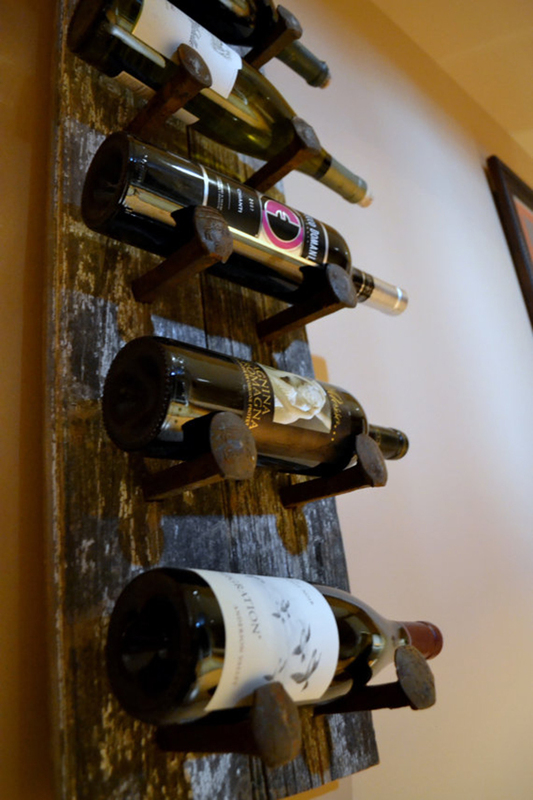 If you are looking for something on the cheap, you will love our next DIY wine rack. 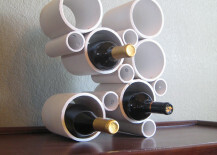 Originally created on ReadyMade and featured on Bob Vila, this DIY wine rack is simply made by lining up cardboard tube mailers. How easy and spectacular is that!? 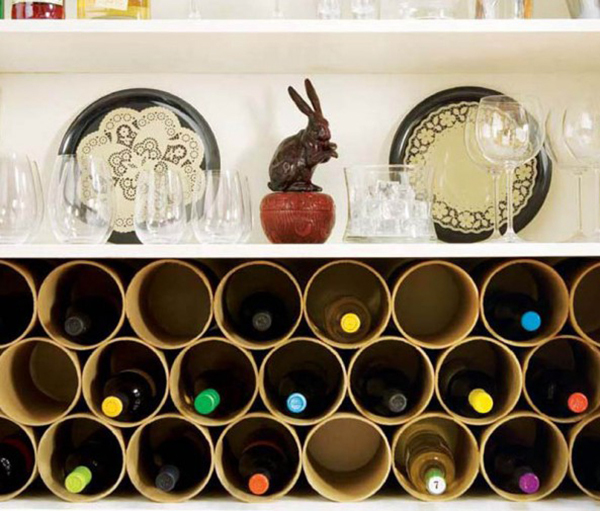 There you have it : 13 Amazing Wine Storage Ideas! Now go grab a few friends and start imbibing! 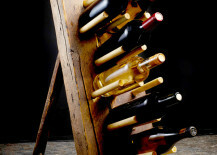 Do you have any other wine storage ideas that are just as great?